January: a time for planning. And car fans will be pleased to hear there is no shortage of motoring events on the agenda for 2017. Why not grab a brew, your shiny new calendar and join us for a look at what we have to look forward to this year? If you’re a car enthusiast and have never been to an event at London’s Ace Cafe, make it your resolution to change that in 2017. The historic transport cafe, located on London’s North Circular, plays host to regular themed evenings. The German Night is a must for Mercedes and BMW enthusiasts. If classic cars are more your thing, you don’t have to wait long until the London Classic Car Show, held at the Excel in February. The central Grand Avenue will feature more than 50 classic cars in action every day, while a special display will celebrate 70 years of Ferrari road cars. Those who like to see classic race cars being used as their maker intended should head to Warwickshire for Race Retro. Highlights include an auction of historic cars, interviews with legendary racing drivers and, of course, a live rally stage. Looking for an excuse to travel further afield? 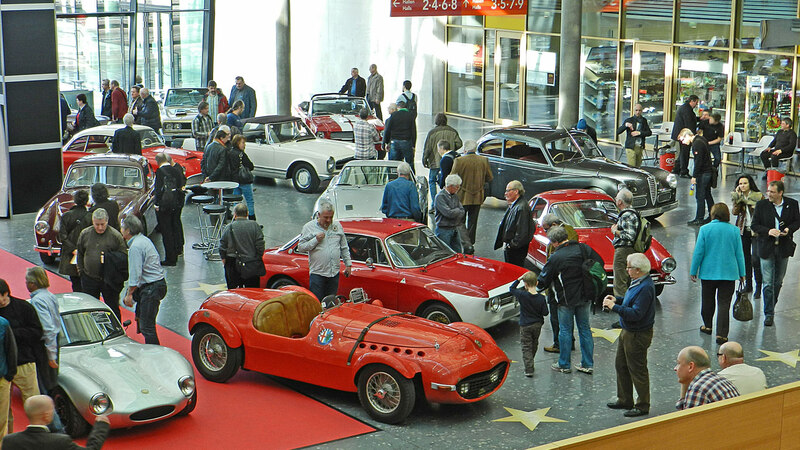 Stuttgart hosts Retro Classics, one of the biggest classic motor shows in the world. There’s something for everyone, say organisers, from exotic Maseratis to motorbikes, and even a timeline of European local buses from 1950 to 1955. The Geneva Motor Show is one of the biggest events on our calendar – we attend every year to bring you the latest concept and production cars on display in Switzerland’s second biggest city. But you don’t need to be a journalist to attend the Geneva Motor Show, it opens its doors to the public from 9 March, allowing you to get up close with the latest reveals. It makes for a fantastic road trip. From Geneva to… Telford. 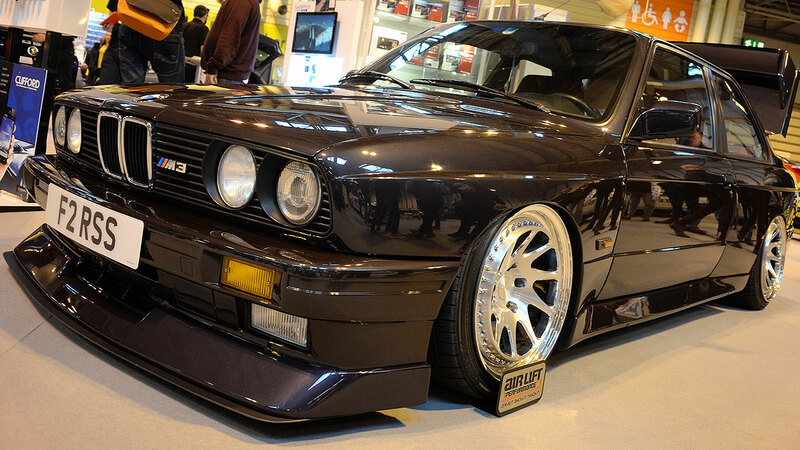 Ultimate Dubs is the UK’s largest indoor VW Group event, catering for modified Volkswagens, Audis, SEATs and Skodas. If slammed VW Golfs and Audi TTs with more attitude than a bored teenager are your thing, Ultimate Dubs is the ultimate place to be in March. 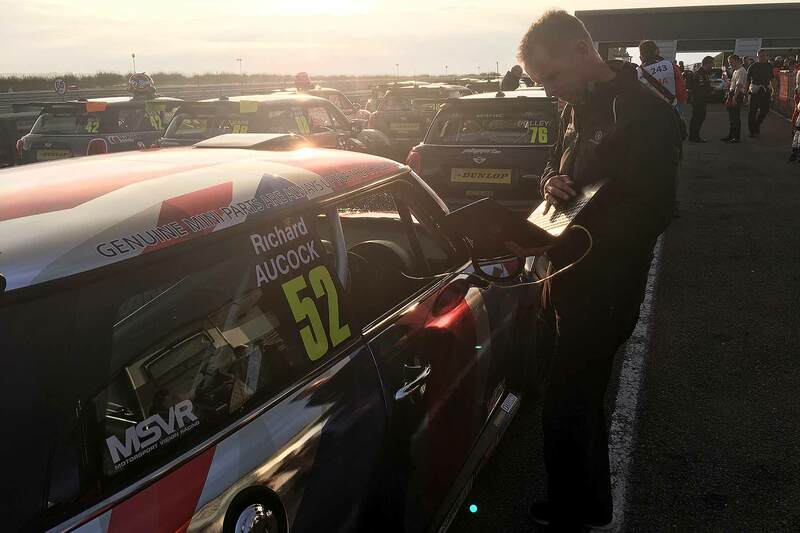 Where else can you see names such as Gordon Shedden and Jason Plato hammering souped-up road cars on tracks around the UK? The 2017 British Touring Car Championship kicks off at Donington in March. 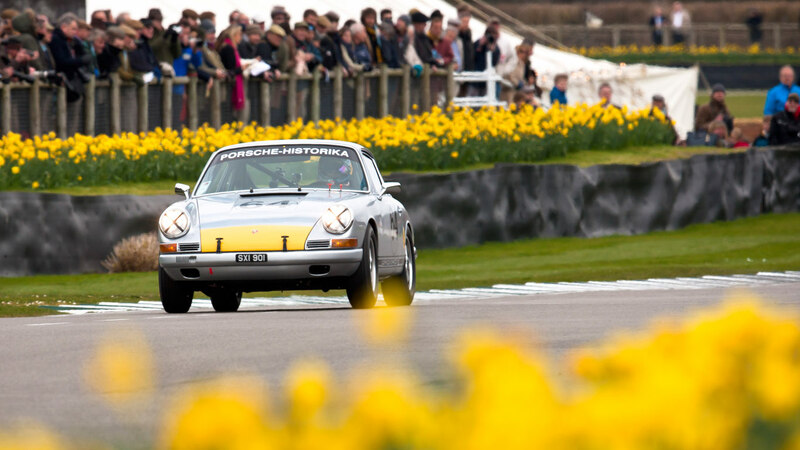 The exclusive Goodwood Members’ Meeting is a weekend of motor racing, enjoyed only by members or a small number of lucky ticket holders. By keeping attendance down, spectators can enjoy motorsport with limited crowds. Alternatively, watch it unfold online. 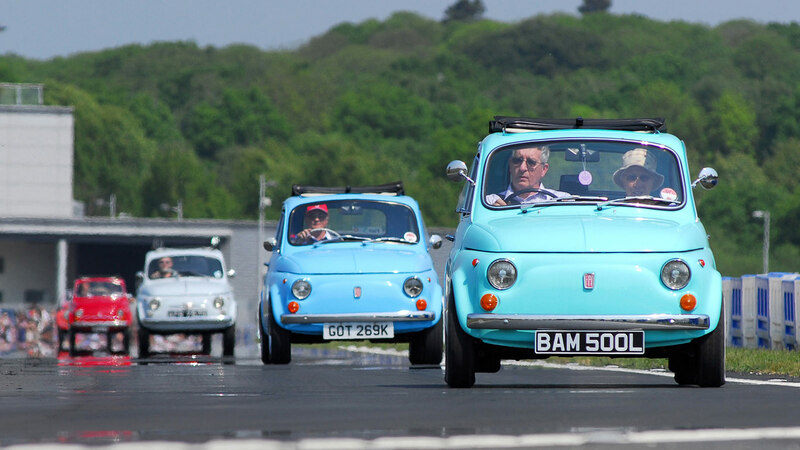 Brooklands is a historic venue and always worth a visit – but its special Mini Day in March is unmissable for fans of Britain’s favourite pocket-sized car. Drivers of modern MINIs are welcome too. The best classic car events can involve little more than getting a gathering of enthusiasts (and their motors), giving them coffee and letting them chat cars. 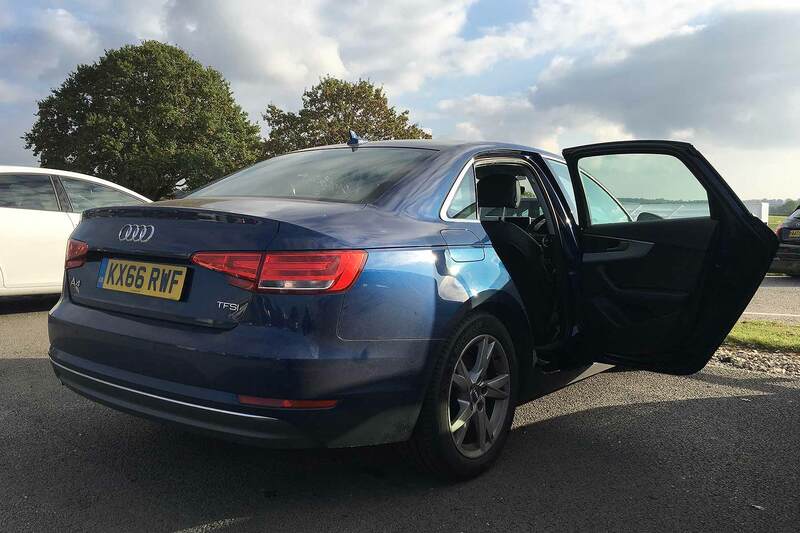 Hire firm Great Escape Cars lets enthusiasts do just that – and donates £1 to charity for every classic that turns up. The Practical Classics Restoration and Classic Car Show is a relatively new addition to the calendar, but 19,000 enthusiasts headed to the NEC for the show in 2016. This year, it promises more than 800 cars on display – from restored classics to neglected barn finds. Adult tickets start at £16 in advance. If your idea of a car show is a village green full of MGBs and, at a push, a beer tent, The Fast Show at Santa Pod probably isn’t for you. It involves an open ‘run what ya brung’ drag strip sessions, a nightclub in the evening and even dancing girls. The five-day-long Techno Classica show at Essen, Germany, is a must for British classic car fans who’ve outgrown our own shows. It attracts nearly 200,000 visitors from around the world. The Fast Show this is not. Top Marques is held at the Grimaldi Forum in Monaco, and allows visitors to get up close to the world’s hottest supercars. Demonstrations take place on the iconic F1 racetrack and, if you’re a serious supercar buyer, you might even be able to take some test drives. Drive It Day is a nationwide thing, introduced by the Federation of British Historic Vehicle Clubs (FBHVC) to encourage classic car owners to drive their cars. It’s held in spring every year – giving enthusiasts the perfect opportunity to get their cars on the road after winter. Events are held all over the country, including at Beaulieu, Brooklands and Gaydon. Back to Brooklands, these time for Auto Italia’s fabulous Italian Car Day. Visitors in Italian cars – whether it’s a Fiat or Ferrari – get to park in a special area, while fans can enjoy track demonstrations. 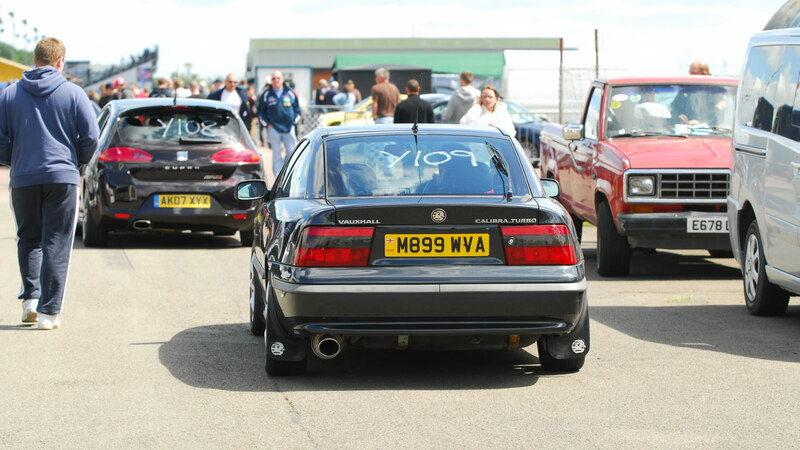 Meanwhile, over at Silverstone, Japanese car nuts can enjoy the enormous Japfest event. 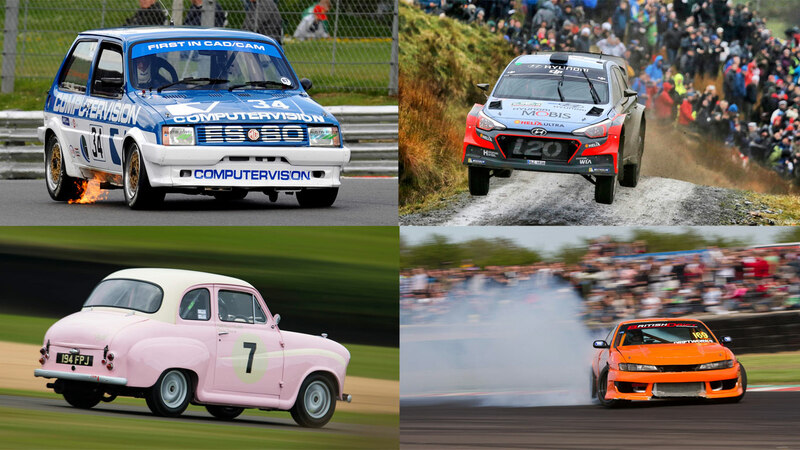 Watch drifting demos, take part in club line-ups and even get out on track. There’s even a show and shine for those who like to keep their motors in mint condition. And now for something a bit different. For one weekend, the East of England showground becomes the country’s biggest truck park – with more than 2,000 lorries heading along the A1 to take part. You don’t have to be a trucker to attend, with adult visitor tickets starting at £17.50. 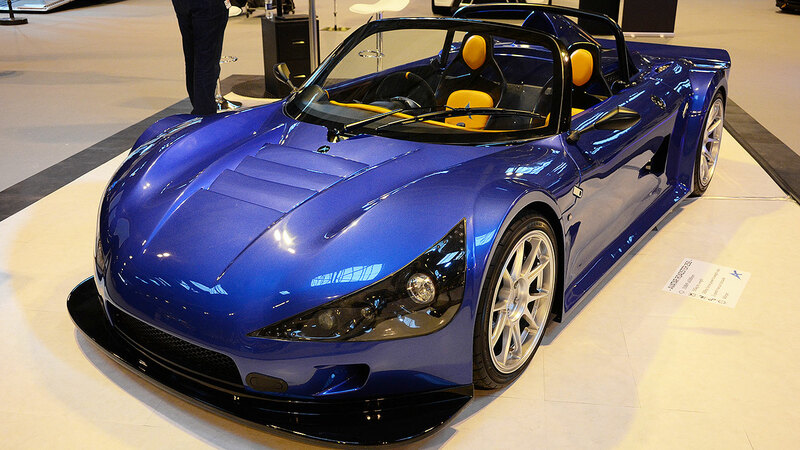 If you like your cars to be of the DIY variety, the National Kit Car Show at Stoneleigh in Warwickshire is a must. From have-a-go opportunities to live music and hundreds of trade stands, there’s plenty for the casual fan as well as the serious kit car enthusiast. 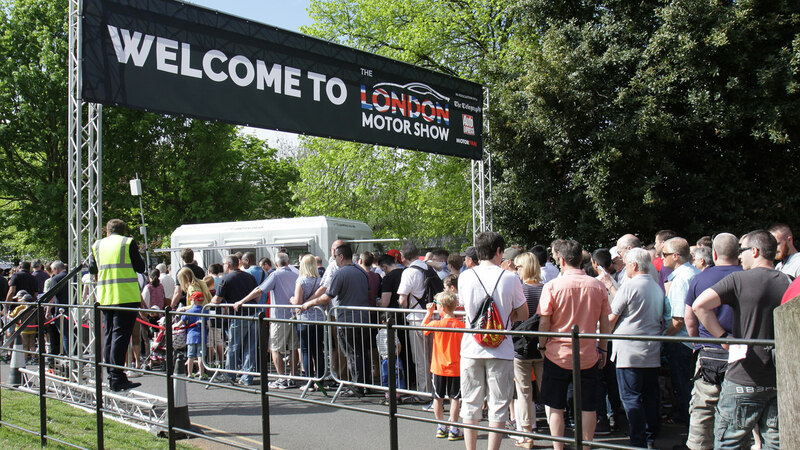 After a number of years without a motor show in the UK, the London Motor Show returned last year. And it’s back for 2017 – hosted at Battersea Park, with celebrity guests including Jodie Kidd and former Stig Ben Collins likely to put in appearances. The original Mille Miglia race took place between 1927 and 1957, but has been brought back since 1977. The thousand-mile event crosses Italy and is only open to cars made before 1957 that participated in the original race. While most of us aren’t lucky enough to own such a car, it’s worth a trip to see the spectacle of such exotic motors being put through the challenge. Who doesn’t like a Mini? The London to Brighton Mini Run takes place every year, with 2,100 Minis old and new taking part in the event. At Madeira Drive in Brighton, there’s a line-up of all the entrants, plus a live action arena featuring autotest demos and stunt bike displays. If you’re a VW enthusiast and want to travel a little further afield, the Worthersee Volkswagen festival attracts more than 100,000 visitors every year. There’s a manufacturer-backed element – usually a few pimped cars and the occasional special reveal alongside Lake Worthersee – but the whole town is taken over by retro and modified Vee-dubs. Why not combine a trip to Worthersee with a visit to the infamous Nurburgring for its annual 24-hour race? 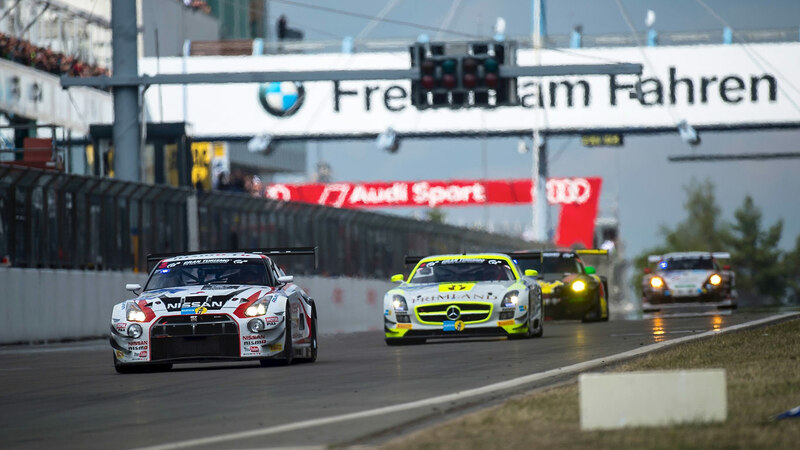 More than 200 cars take part in the event on the 15.5 mile Nordschleife circuit, making it a mesmerising spectacle. The Isle of Man TT is a must-visit event for bike fans. It’s been taking place every year since 1907, with star racers such as Guy Martin taking to public roads to test their limits. It’s a thrilling event and well worth the cost of a ferry. You can imagine the conversation that led to the inaugural Coventry Motofest taking place in 2014. A group of petrolheads got together and decided it’d be fun, for one weekend a year, to take over the city of Coventry with motoring-related activities. Could they show off the city’s motoring heritage, display classic cars in the centre and even hold demonstrations on the ring road? Turns out, yes they could. It’s definitely worth a visit. Classic Fords, run what ya brung and DJ Pied Piper… wait, what? Yes, the Classic Ford Show at Santa Pod in June really has it all. Well, if you like old Fords, drag racing and tasteless garage music. Adult tickets cost £18 in advance. 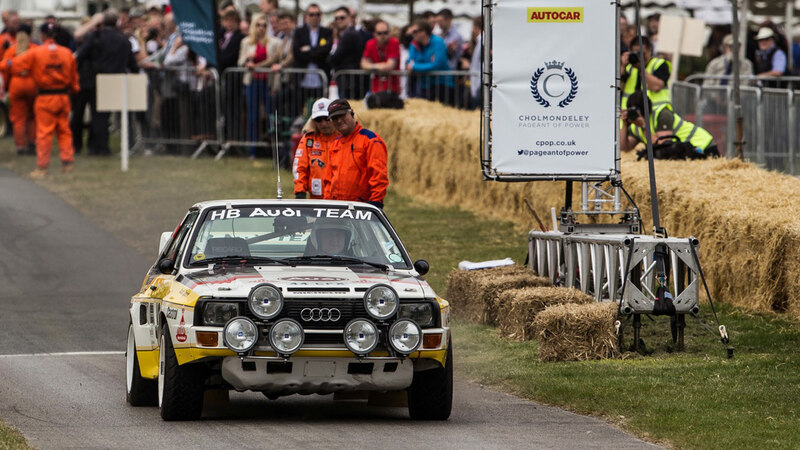 Dubbed the Goodwood Festival of Speed of the north, Cholmondeley Power and Speed (formerly known as the Pageant of Power) is a three-day motorsport extravaganza. A record 40,000 visitors attended last year. Even if you’re not a big motorsport fan, no one can fail to get caught up in the atmosphere at Le Mans during its annual 24-hour race. Enjoy a ride on the ferris wheel, watch cars hit 200mph on the Mulsanne Straight in the early hours of the morning and find out exactly what a ‘beer mountain’ is. Book campsites well in advance as they do fill up. Think of MG enthusiasts and you might picture a small gathering of classic MGBs at a village car show, but MG Live is a much bigger event than you’d expect. Held at Silverstone, the two-day motoring festival celebrates all that’s great about MG: from historic racing to displays of the latest models. With more than 3,000 classic cars in attendance, the annual Bromley Pageant of Motoring claims to be the world’s largest one-day classic car show. Entry is £12.50 in advance, and cars are grouped into special one-make parking areas. In 1993, Lord March hosted a hillclimb in the grounds of Goodwood House in Sussex and created the Festival of Speed. Back then, 25,000 spectators attended – today attendance is capped at 150,000. 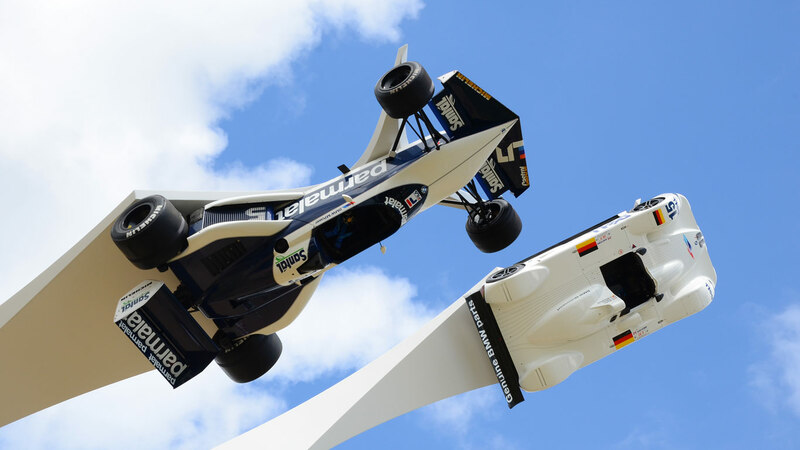 It’s a brilliant opportunity to see historic race cars driving up the infamous hill climb and the recent addition of the Moving Motor Show even allows visitors to get behind the wheel. How would you like to take a passenger ride in a supercar on Top Gear’s test track and to raise money for charity at the same time? That’s precisely what The Supercar Event at Dunsfold offers, with owners giving up their time and petrol for nothing. Book ahead for £30 to be guaranteed a ride. The Peugeot Sport Club’s Peugeot Festival, formerly known as Pugfest, has been held at the historic Prescott Hillclimb since 2002. Whether you’re a fan of the legendary 205 GTI or slammed 306s are more your bag, the Peugeot Festival is a must visit for Pug fans. Tickets start at £12 for non-members, and visitors can drive their car up the hill for just £7. The chances of seeing an Austin Allegro or Leyland Sherpa on the roads today are slim, but if your boat is floated by these unloved classics, the BMC and Leyland show is the place to be. It’s held at the British Motor Museum at Gaydon and is open to all British Motor Corporation, British Leyland and Rover Group vehicles. Like Le Mans, you don’t need to be a huge motorsport fan to be caught up in the atmosphere of the F1 British Grand Prix at Silverstone. Tickets for the main event on Sunday are officially sold out, but you might find some if you shop around. It’s the biggest week-day classic car show, with more than 1,000 classics heading to the Hertfordshire town of Harpenden for its annual Classics on the Common event. Starting around lunchtime and running throughout the afternoon and into the evening, the event combines a great atmosphere with an eclectic mix of old and new cars. Disappointed to have missed out on the Grand Prix? Or just prefer older cars? Don’t miss Silverstone Classic, held on the last weekend of July. 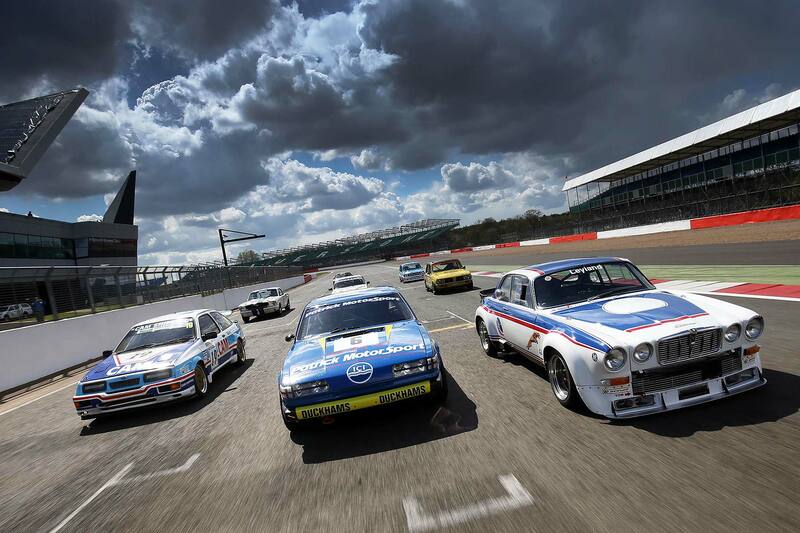 It’s more than just classic motor racing: there’s live music, classic car line-ups and even a special retro run on the roads around Silverstone. 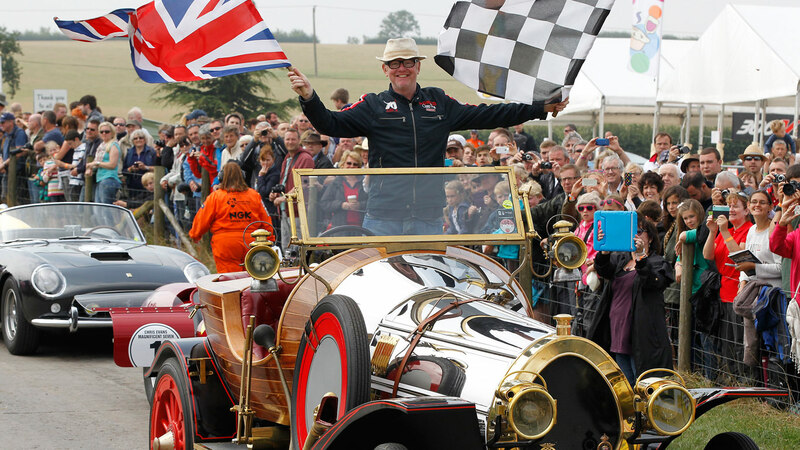 CarFest was the mad idea of Radio 2 presenter Chris Evans. He may not have succeeded at Top Gear, but his charity event has been a runaway success since its launch in 2012. Millions of pounds have been raised for Children in Need, with tens of thousands of fans heading to CarFest North’s venue at Bolesworth Castle in Cheshire each year. For those of us in the south, there’s a second CarFest event held at Laverstoke Park Farm near Basingstoke, Hampshire. Highlights include live action on the hillclimb, as well as live music and even cooking demonstrations from celebrity chefs. Salon Privé describes itself as “the UK’s most exclusive automotive garden party”. If rare and exotic Ferraris are your thing, it’s the place to be. Tickets for the supercar show on the Saturday cost £125 plus fees. If a giant car boot sale full of automotive paraphernalia is your idea of a good day out, head to Beaulieu for its world-famous autojumble. More than 2,000 stalls will be selling every car-related item you could possibly imagine, and there’ll even be around 200 vehicles offered for sale by private sellers. Step back in time at the Goodwood Revival. Visitors are encouraged to dress in period clothing (in fact, you’ll stand out if you don’t), while historic race cars recreate the golden era of 50s and 60s motorsport. There’s even a period Tesco store on site. 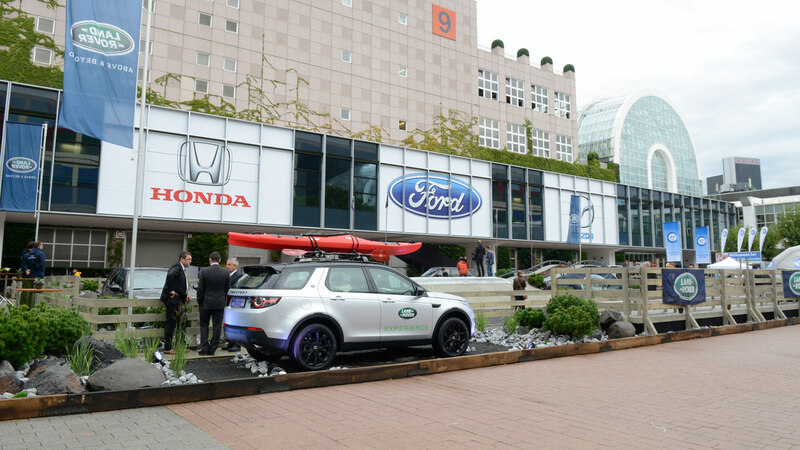 The Frankfurt and Paris motor shows alternate every year, with 2017 being the turn of Frankfurt to host the world’s car manufacturers in September. If you want to know just how much money German car manufacturers have, head to Frankfurt. Volkswagen Group, BMW and Mercedes-Benz all attempt to outdo each other with the size of their show stands. The Manchester Classic Car Show lives somewhat in the shadow of its Brummy cousin, but it’s definitely worth a visit if you’re a classic car nut. 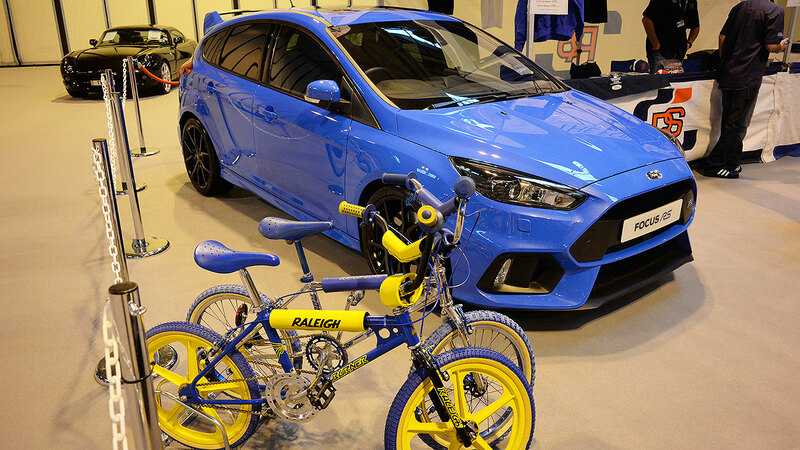 From a wide array of classic car clubs to a concours event and even a live rally stage, there’s plenty to keep the family entertained. Once a year, Peterborough plays host to the Land Rover Owner International Show. Whether you drive a tricked-up Disco or a rare Series One, there’s plenty see for every Land Rover enthusiast. 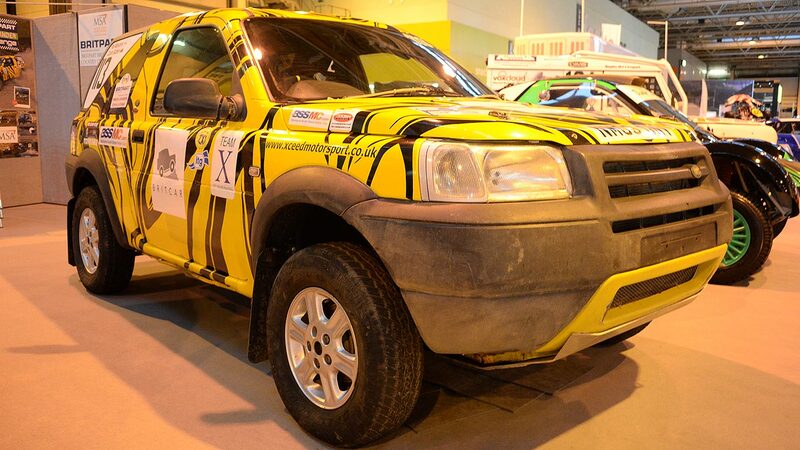 Visitors will even be able to take part in a little light off-roading at the nearby Tixover Grange. The penultimate round of the FIA World Rally Championship takes place in Wales – and you can get your rallying fix later in the year. While special stages such as Cholmondeley Castle are a good starting point, we suggest being more adventurous and travelling deep into Wales to get closer to the action without the crowds. 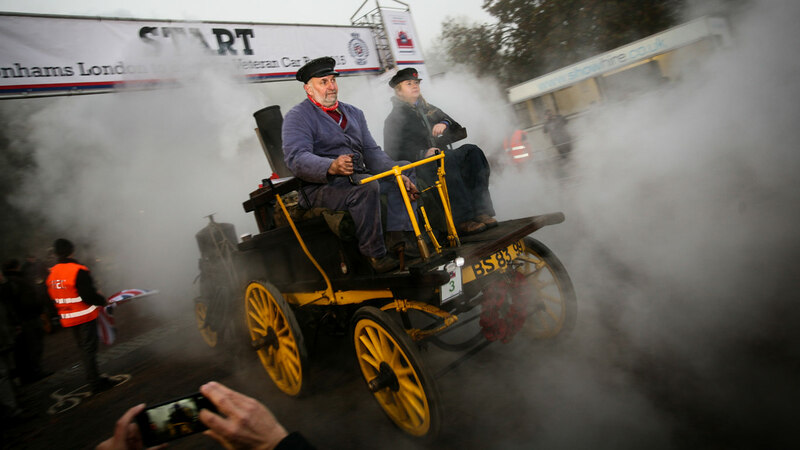 The annual London to Brighton Veteran Car Run is an annual celebration of the 1896 Locomotives on Highways Act, which increased the national speed limit to 14mph. Apart from a break for WW2, it’s been held every year since 1927, with more than 400 cars taking part. Our tip? Head into London early to watch the historic cars passing famous landmarks. 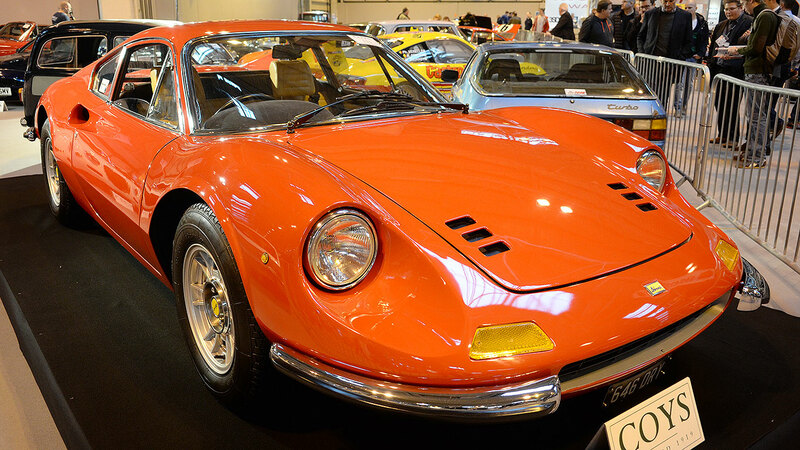 The NEC Classic Motor Show is always a brilliant way to end the year. The show takes over five halls and features classic car clubs, exhibitors selling everything from rare parts to old magazines, and even an auction. Book in advance to save money on tickets. 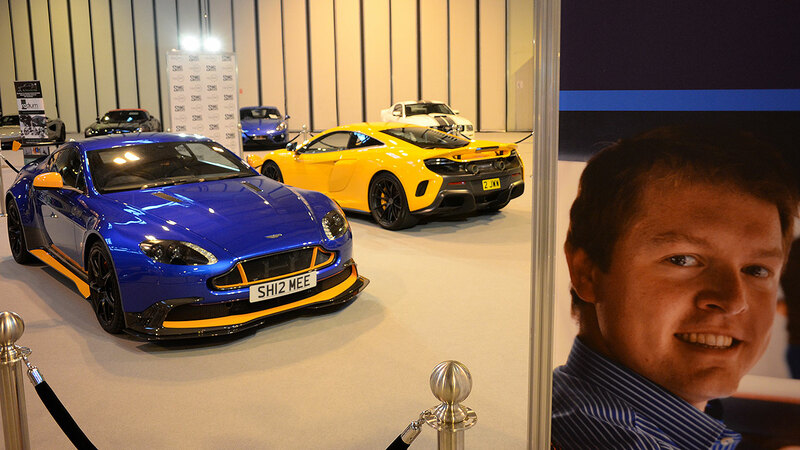 The world-famous Autosport International show is held early in January at Birmingham’s NEC. 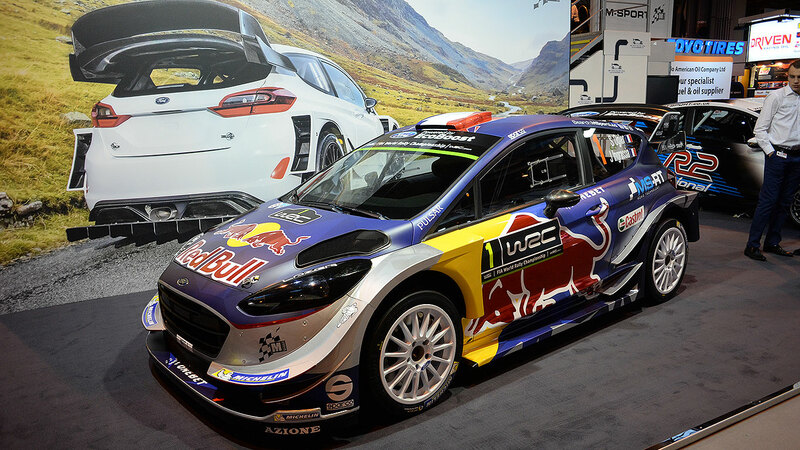 For the motorsport community, it effectively marks the start of work on a new season’s racing or rallying, with many a team choosing to launch its new car at the show. 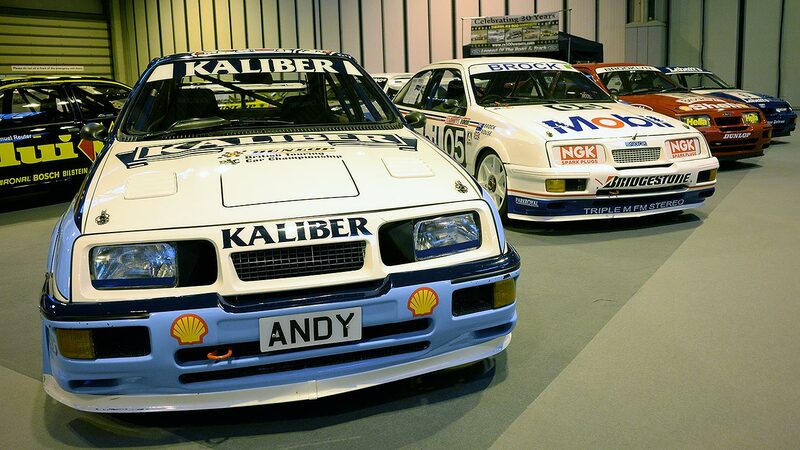 The Sierra RS500 was an evolution special – a tuned-up version of the standard Sierra RS Cosworth that incorporated changes such as a bigger turbo and aero kit to enhance its racing abilities. With huge success: racing versions went on to win 40 races back-to-back. The RS500 is, today, a real collectible, with pristine road-going versions now commanding over £50,000. 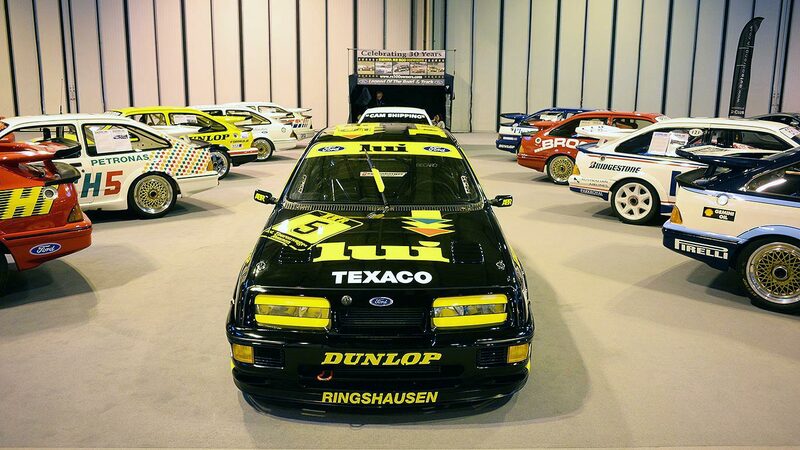 And the original racing versions on show at Autosport International? For their owners, virtually priceless – particularly as some of the cars’ original drivers visited the show to be reunited with their old racers. He came, he saw, he conquered, he retired. 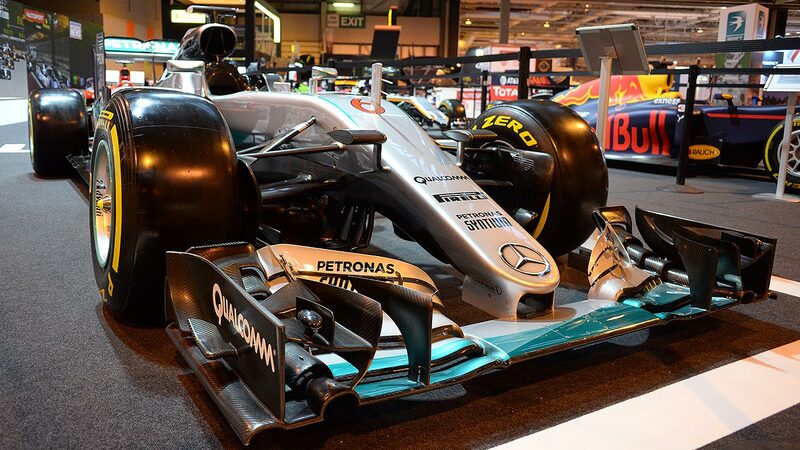 2016 F1 champ Nico Rosberg won’t be driving this car in 2017… Could his replacement be at the NEC this weekend, checking it out? The future of single-seater motorsport is at Autosport International, too. This zero-emissions Jaguar racer is competing in this year’s Formula E championship for electric cars, as part of the British giant’s plans to fast-track future road-going EV technology. The famous Williams F1 team is 40 years old in 2017. Autosport International marks the start of a year-long series of events, and a fully-interactive stand featuring classics from the team’s past is a highlight of the show. 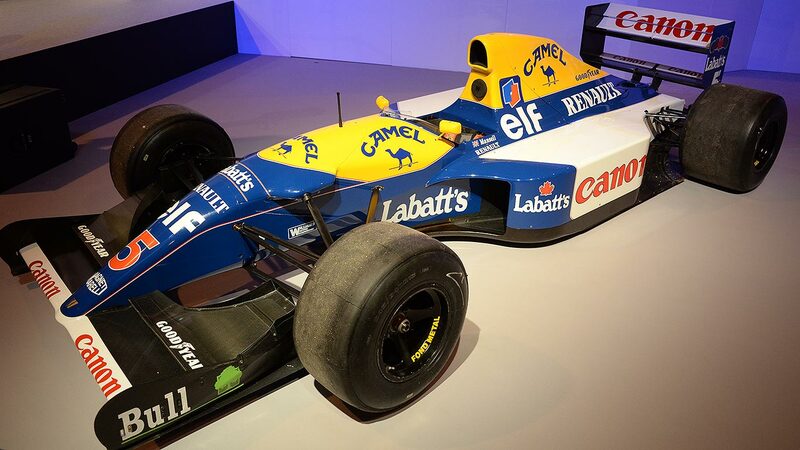 Here’s one of Nigel Mansell’s old Williams, complete with ‘Red 5’ on the nosecone. WRC rallying has been overhauled for 2017, and the season promises to be the most exciting and dramatic in years. The cars are faster, and they finally look like rallying thrillers once again. This is Ford’s 2017 Fiesta, run by the British M-Sport team. Looks awesome, no? You don’t need a new car to go rallying, though. Indeed, you don’t need a simple car: why not take your old SUV rallying instead? Certainly, there’s a burgeoning series for Land Rover Freelanders, which proves even the most unlikely of machines can be turned into motorsport crowd-pleasers. And, once again, you don’t need a six-figure budget to go tin-top saloon car racing. 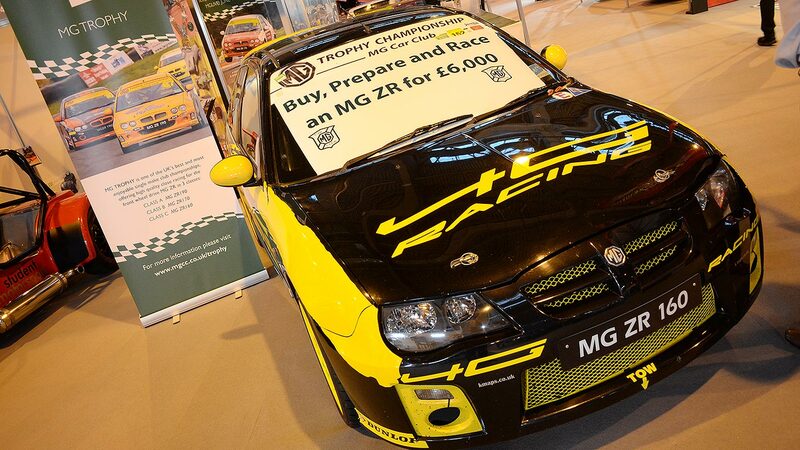 As the sign says, you could do a season in this MG hot hatch for around £6,000. By motorsport standards, that’s very cheap indeed. 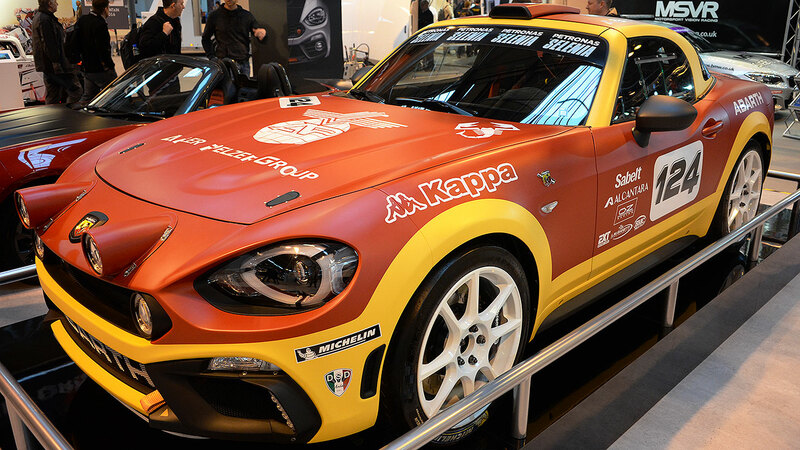 Hot Fiat tuning division Abarth revealed its 124 Rally motorsport special at Autosport International 2017. Producing up to 300hp, it has a six-speed sequential gearbox, a full roll cage and umpteen other modifications to make it eligible for race series all over the world. It looks superb. 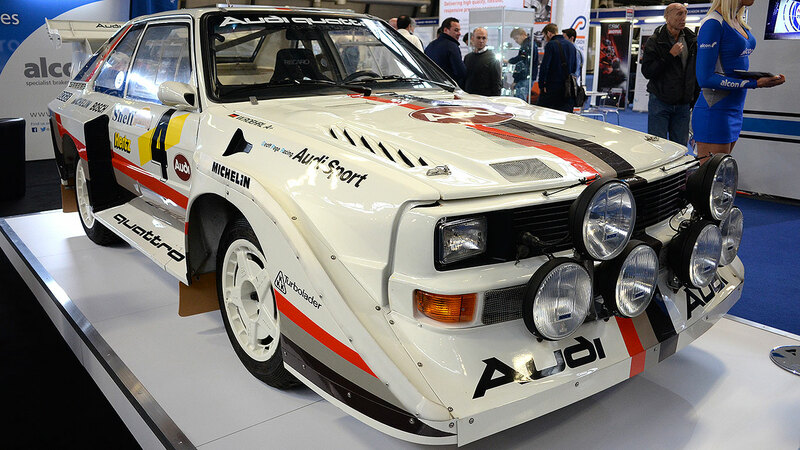 If the 124 Rally looks great, this classic Audi Quattro looks sensational – still. More than three decades on, the car that turned WRC rallying on its head continues to fascinate. It’s the excitement of cars like this that WRC 2017 is hoping to reignite. Specialist sports car maker Marlin revealed the production-ready version of the car it first showed here last year: the Avatar Roadster. The Ford Focus ST-powered machine produces 250hp for the promise of stunning performance, and there’s talk of a Focus RS-powered version producing a staggering 350hp. 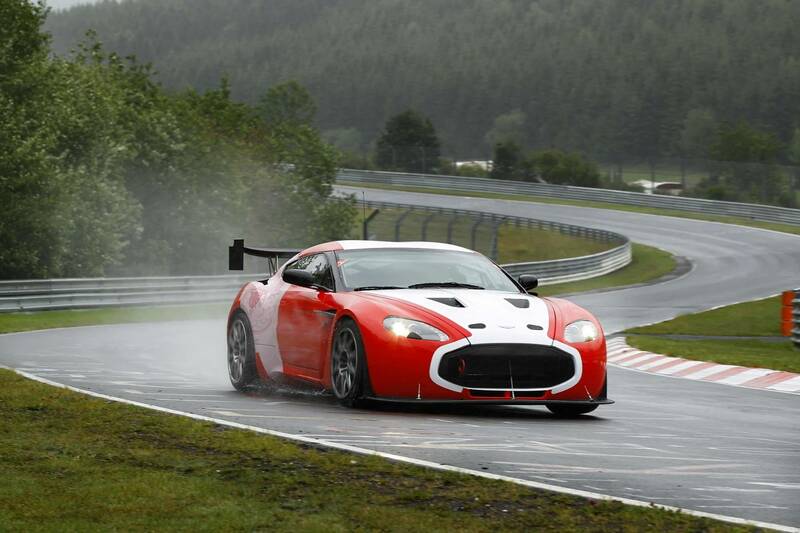 Like the look of this new, track-ready British sports car? 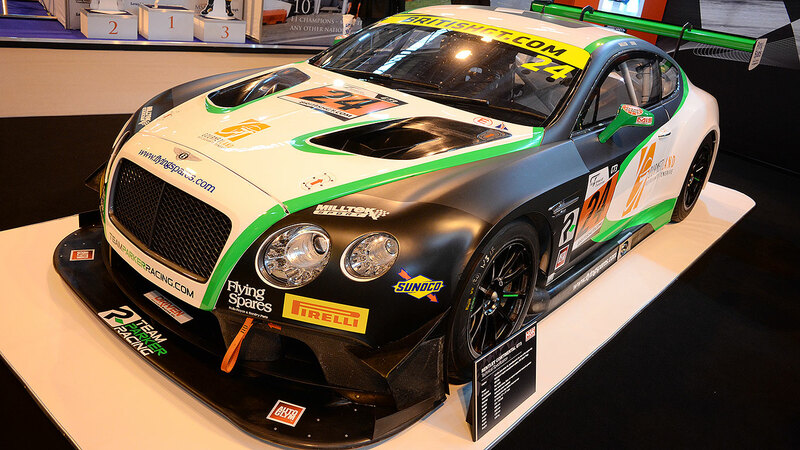 Bentley is winning in GT3 racing with the big Continental GT3-R. British GT racing grids may be cowering a little at the sight of it in 2017 – it’s a monster, but a very quick one at that. 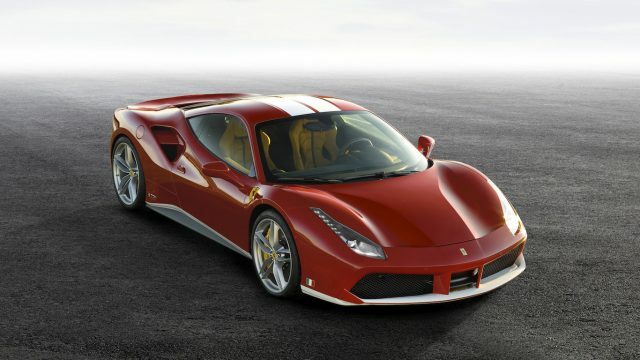 If your low-slung Ferrari supercar isn’t quite low enough for you – or indeed, head-turning enough – you’re in luck. 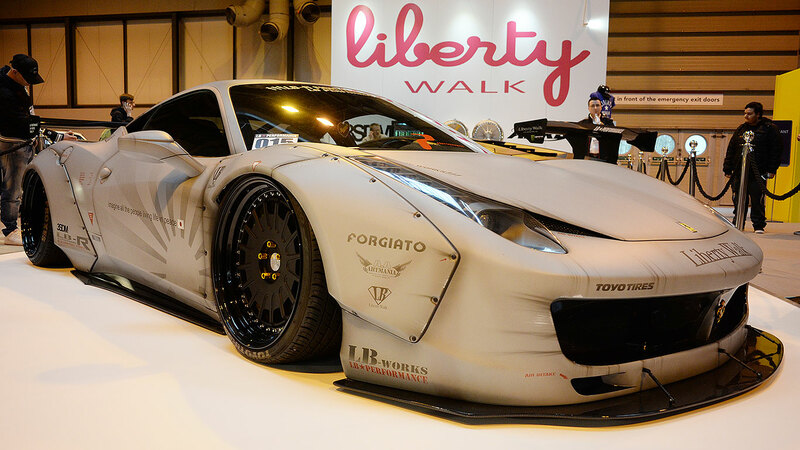 Liberty Walk will graft on this unique bodykit and basically lower the entire body almost onto the ground. If a Liberty Walk 458 is good enough for Justin Bieber, then who are we to argue? 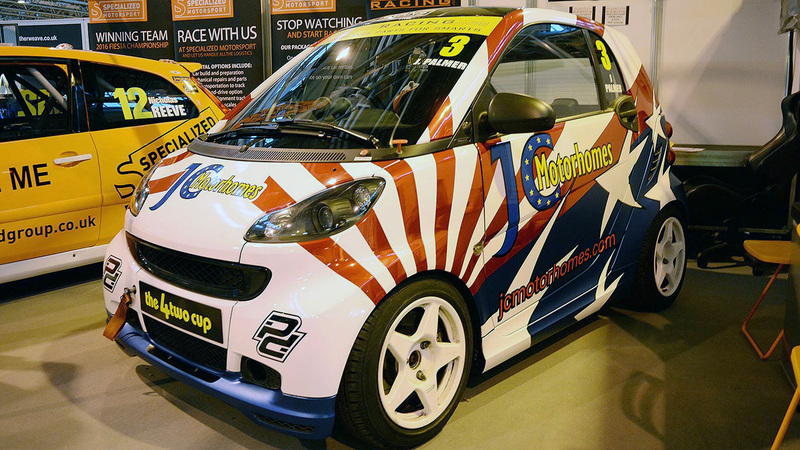 Proving you can race absolutely anything, here’s a track-ready Smart Fortwo. There’s even a championship for the micro-sized city car racers. We’re not quite sure of the link here, but we like it all the same. Who else had a Raleigh Burner in the 1980s? It wasn’t just racers and supercars, either. The Coys Autosport International auction is another annual staple, and the entry list this year is as amazing as always. This achingly beautiful Ferrari Dino 246 GT is about as perfect as can be – as you’d expect, given a £250,000-£280,000 guide price. As the motorsport season draws to a close, manufacturers will be thinking about how best to capitalise on their success to sell more cars. Some, however, will be looking to go further, building special editions to show just how good they, or their drivers, are on track. With three F1 titles in three years, Mercedes-Benz has a lot to shout about when it comes to motorsport. 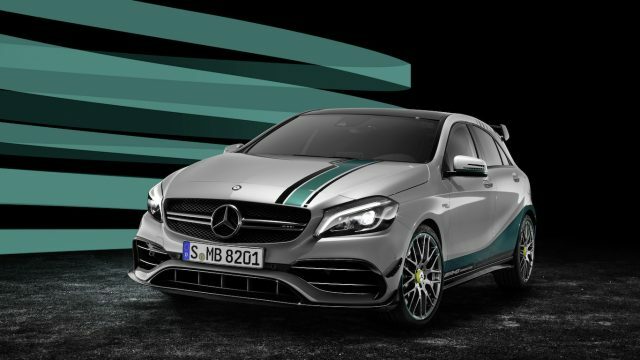 This was its effort in 2015: an AMG A45 hot hatch, with an F1-inspired silver and turquoise colour scheme. Note the bright green wheel rims. Not one for shy, retiring types. 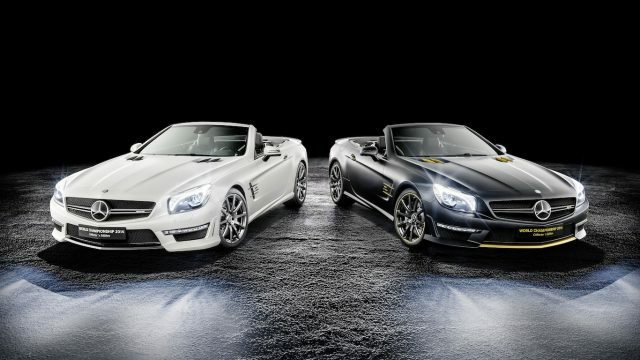 Possibly sensing the tension that was to come, in 2014 Mercedes let Lewis Hamilton and Nico Rosberg design their own SL 63 roadsters. 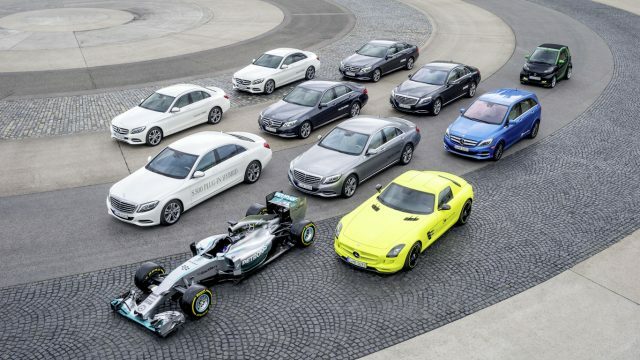 Hamilton opted for matte black and gold, while Rosberg favoured luxurious white. Only sold in pairs to specially selected customers, the price for a matching set was more than £500,000. Proving that special editions don’t always have to celebrate F1 championship wins, in 2009 Mercedes got extreme with the SLR in honour of Sir Stirling Moss’s Mille Miglia record. 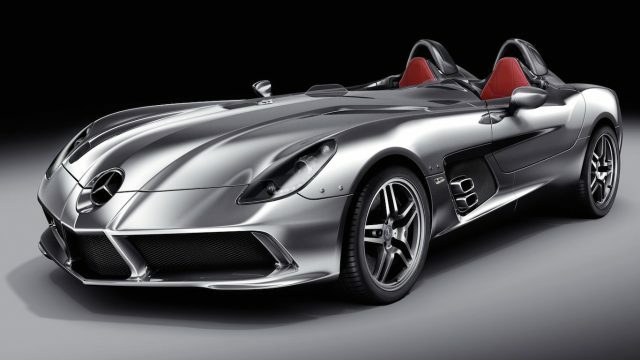 Ditching the roof and windscreen created a speedster capable of a – very windy – 217mph. You had to already be an SLR customer to be considered, with just 75 examples produced at £660,000 each. 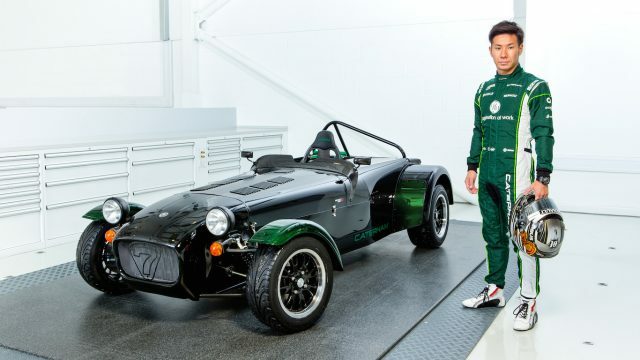 He might not have won races or titles, but Kamui Kobayashi proved to be popular during his time in F1 with Caterham. Helpfully, Japan is a big market for the Caterham Seven, so selling a run of ten Kamui editions should have been fairly easy. There’s only one seat, an anodised green key and a dashboard with Kamui’s name inscribed into it. Power isn’t quite F1-like, though – with just 123hp from a 1.6-litre Ford engine. How do you celebrate Ferrari’s first F1 World Drivers’ Championship in more than 20 years? By sticking the name of your successful driver on the boot of a 54hp city car, of course. While Michael Schumacher may have gone on to become Ferrari’s favourite son, things started out with just 1.1 litres and a top speed of 93mph. Things got slightly better for Schumacher in 2005 when, after clinching his fifth title in row the year before, he was rewarded with this. 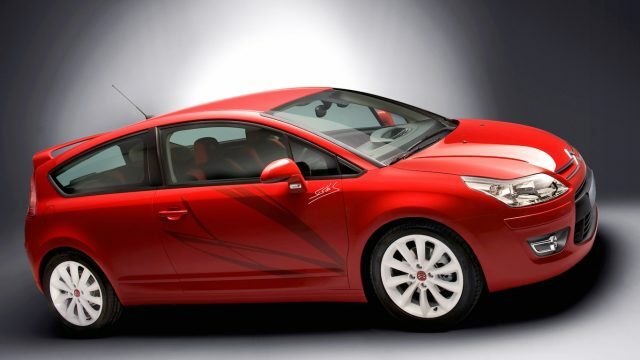 The special ‘GP’ Stilo was produced for the UK, and featured tuning by Prodrive, which added 18-inch alloy wheels, uprated suspension and a stainless steel exhaust system. 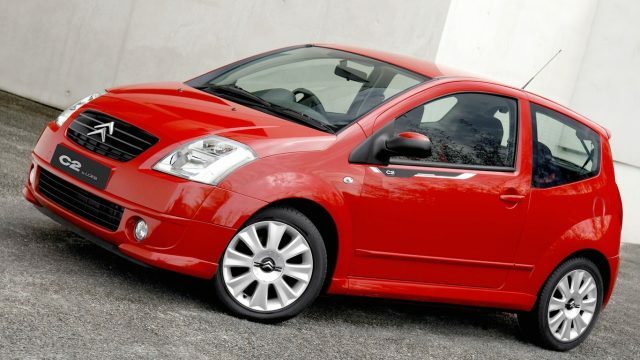 Power was unchanged, with the 2.4-litre 5-cylinder engine making 170hp – an output slightly more respectable than the Seicento. As part of Ferrari’s 70th anniversary in 2017, the Italian brand is planning a range of 70 special editions celebrating key models and liveries. Naturally, Michael Schumacher features on Ferrari’s list, and this time his name will grace a range of performance cars befitting his name. This livery is inspired by the F2003-GA F1 car, which Schumacher took to championship victory in 2003. 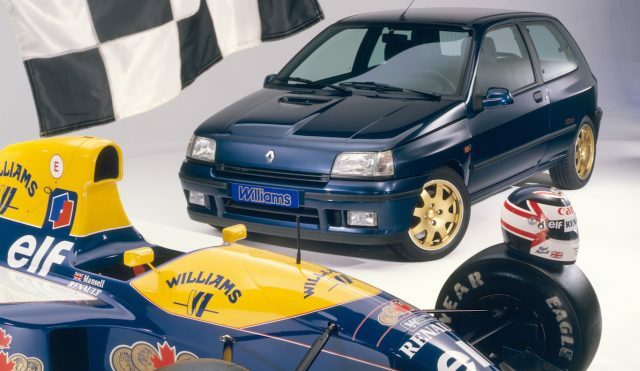 In the early 1990s, Williams-Renault was a dominant force in Formula 1, with Constructors’ titles in 1992, ’93 and ’94. The first-generation Clio was also enjoying success as the 1991 European Car of the Year. 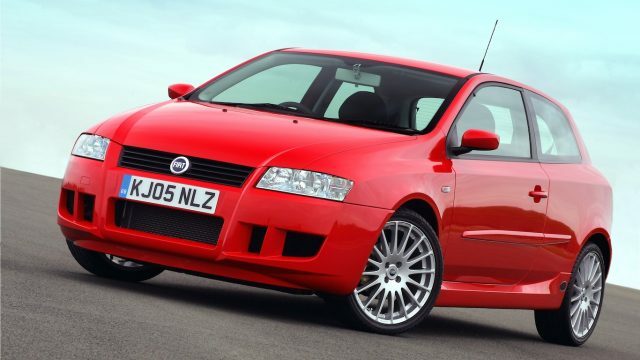 Combining the two, and adding a 150hp 2.0-litre engine and gold Speedline wheels, produced an iconic hot hatch. The original 390 cars sold in the UK now attract a cult following. As a contender for the longest name on our list, Renault’s celebration of both 2005 Drivers’ and Constructors’ F1 Championships is a contender. Ultra Blue paintwork, matched with very bold decals and black alloy wheels, made the 225 F1 Team visually impressive. 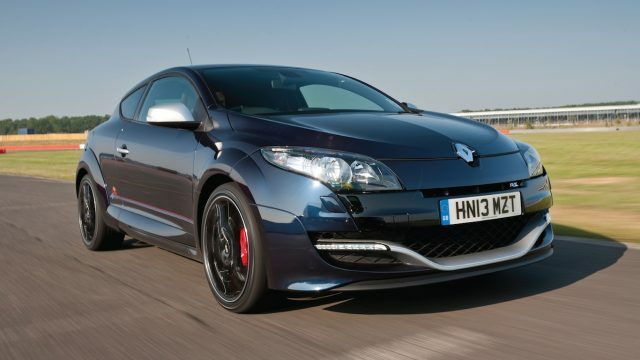 Under the bonnet lurked the same 2.0-litre turbo engine from the regular RS Megane. 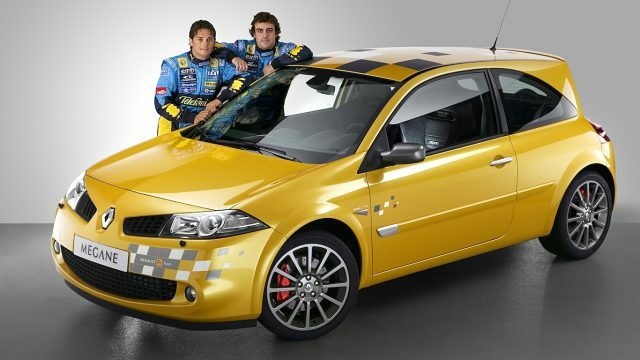 In order to celebrate back-to-back title successes, Renault made the name for the 2006 special edition Megane even longer. 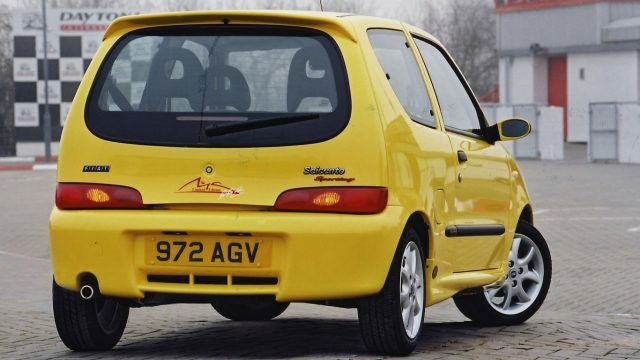 Along with crazier graphics and a wider choice of colours, Renaultsport also added 5hp and a limited-slip differential. 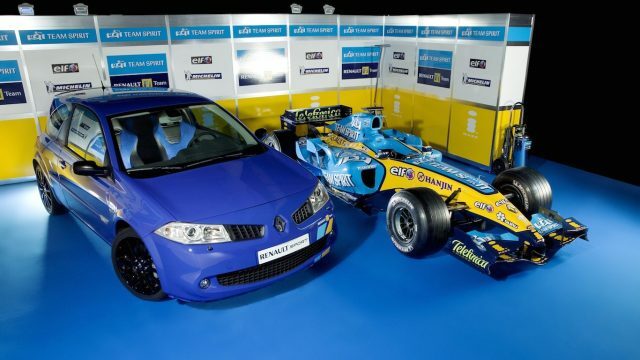 The latter made it popular with those fond of track days – and arguing on internet forums about which Megane is best. Much like Renault, Sebastian Vettel was riding the crest of a wave in 2013. 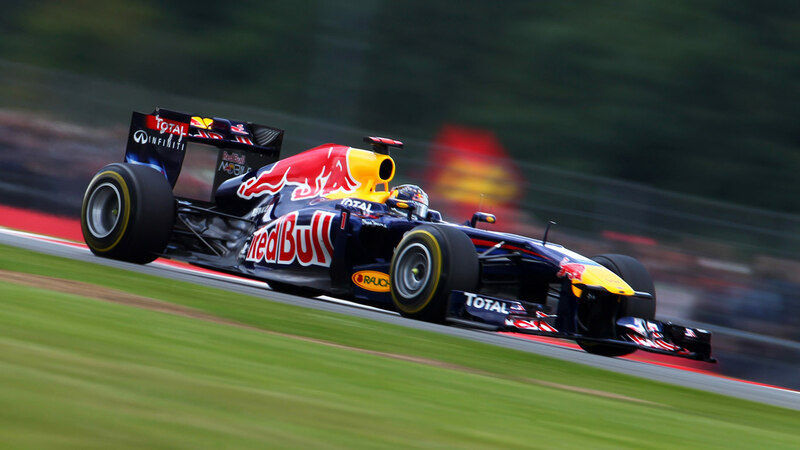 He was racking up wins on track with consummate ease, thanks to his Red Bull Racing F1 car. For 2013, RBR’s title sponsor was Infiniti – somewhat confusing when Renault was the engine supplier. 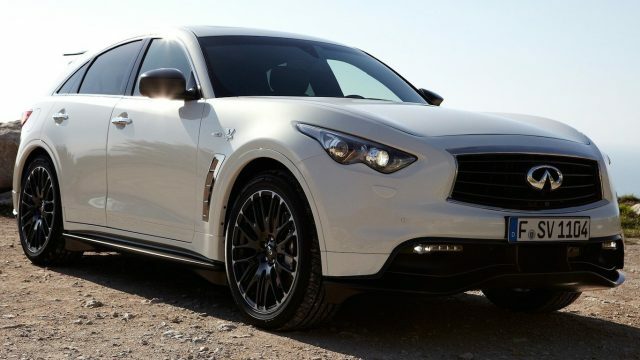 Matte white paintwork, an F1-inspired bodykit and a 420hp 5.0-litre V8 made for a tenuous motorsport link when applied to luxury SUV. A retail price of more than £100,000 in the UK meant you really had to be a Vettel fan to want one. Alain Prost courts controversy amongst F1 fans, due to his infamous rivalry with Ayrton Senna. 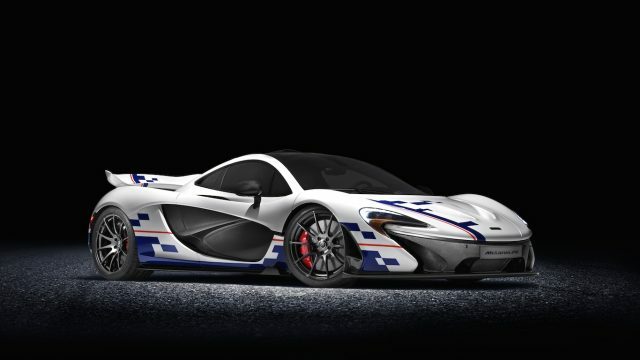 Created for the 2015 Goodwood Festival of Speed, the McLaren P1 Prost Edition featured a unique red, white and blue livery, based on the Frenchman’s helmet design. Prost won three F1 titles with the Woking-based team, garnering the attention of the McLaren Special Operations outfit. Proving that special editions don’t always have to be F1-themed, BMW went to town with the success of the E30 M3 in touring car racing. 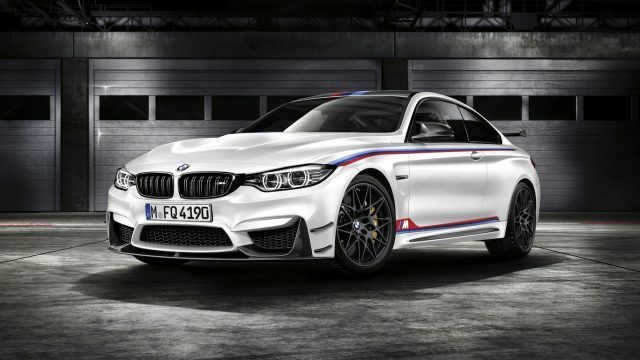 Venezuelan Johnny Cecotto took many of those victories, so was honoured with a limited edition version of the M3 road car. The UK market received an even rarer version, named after Italian driver Roberto Ravaglia, who had claimed four championships with the M3. Johnny Cecotto proved to be a lucrative marketing device for BMW as, in 1991, his name was also added to a special version of the E34 M5. 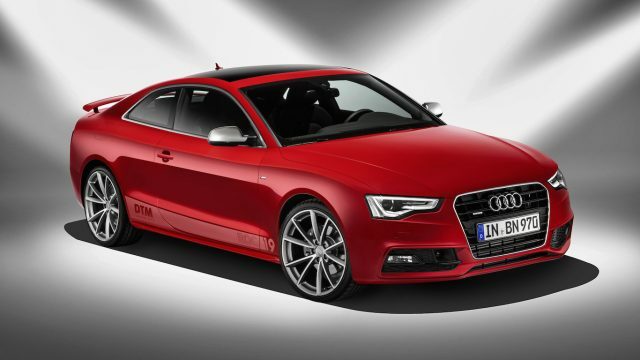 Cecotto picked his own colour combinations and interior trim for a limited-run super saloon. 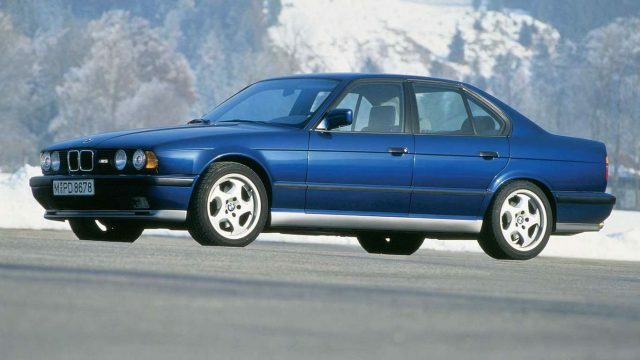 Joachim Winkelhock, winner of the 1990 and ’91 Nürburgring 24 Hours for BMW, also got to specify his dream lightweight M5, with reduced sound deadening and Recaro seats. Proving that BMW is still keen to use motorsport to sell cars, Marco Wittman’s victory in the 2016 DTM series gave the firm a chance to bust out the stickers again. Although you might not have heard of Wittman, this DTM special is a actually a thinly disguised version of the sold-out M4 GTS. With 500hp and a giant rear wing, you probably won’t care about explaining who your car is meant to be honouring. When a height-adjustable driver’s seat counts as a feature in a press release, expectations are correspondingly low. Yet, that was a key feature for Citroen’s special edition of the C2 supermini in hour of Sebastien Loeb’s four WRC titles from 2003 to 2006. A choice of red or black paintwork, and the option of a SensoDrive robotised manual gearbox were as good as it got for the C2 by Loeb. While Loeb would use a Citroen C4 in his (successful) assault on the 2007 World Rally Championship, the road car was not a flame-spitting replica. Nope, there’s no 4WD or big turbo engine to be found here. A 180hp 2.0-litre 16v petrol was the quickest engine on offer, but then we’re pretty sure Loeb’s work machine didn’t come with a leather-trimmed armrest or cruise control as standard. Swings and roundabouts, as they say. Before Sebastien Loeb there was Tommi Makinen, a Finn who dominated rallying with four WRC championships for Mitsubishi between 1996 and 1999. 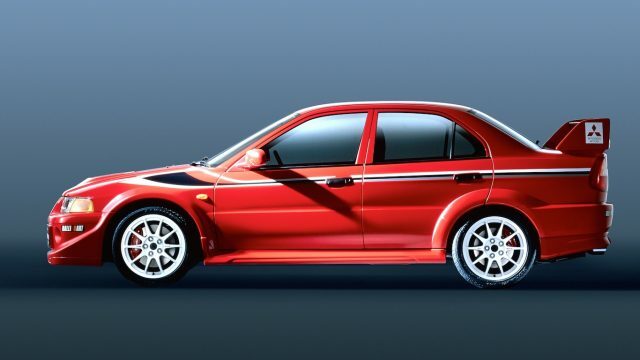 Thankfully, the Lancer Evo was a genuine rally replica, so the addition of a bespoke bodykit, uprated turbocharger and lowered suspension only made it even quicker and cooler. Subaru produced many special motorsport editions of the first-generation Impreza, but the Series McRae cars from 1995 are particularly special. 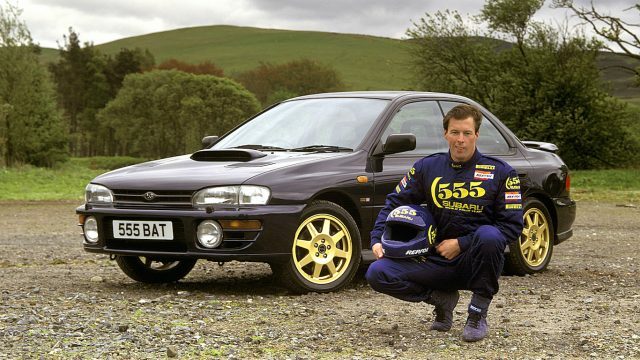 In honour of the late Colin McRae’s impressive rallying ability, 200 cars received Rally Blue paint with gold 16-inch Speedline alloy wheels. Recaro seats and an individually numbered plaque completed the transformation. Norwegian Petter Solberg took the 2003 WRC title fight down to the wire, and emerged victorious over that pesky Sebastien Loeb by one point. To say well done, Subaru produced 1,000 examples of the WRX STI in a special Ice Blue colour scheme. With power increased to 320hp, plus lowered suspension springs provided by Prodrive, the WR1 had bark to match its visual bite. Richard Burns is the only Englishman to be a World Rally Champion, and he did it with Subaru in 2001. Tragically, he died from a brain tumour in 2005 at the age of only 32. To commemorate his championship victory and WRC legacy, Subaru built the RB320, which was available only in Obsidian Black. 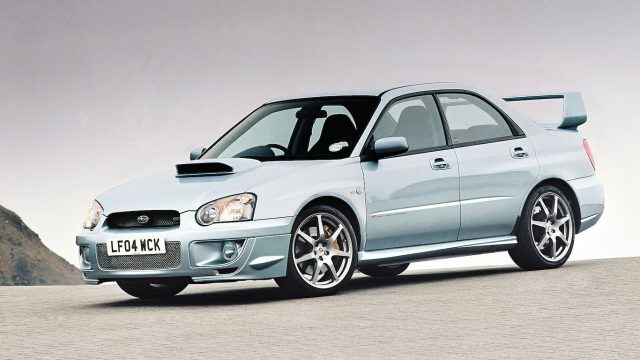 The first car produced was auctioned, with proceeds going to the Richard Burns Foundation. Dale Earnhardt was a giant of NASCAR racing, taking seven Winston Cup titles and earning the nickname of ‘The Intimidator’ for his aggressive driving style. This made his death, in a final-lap accident during the 2001 Daytona 500, even more shocking to the NASCAR community. 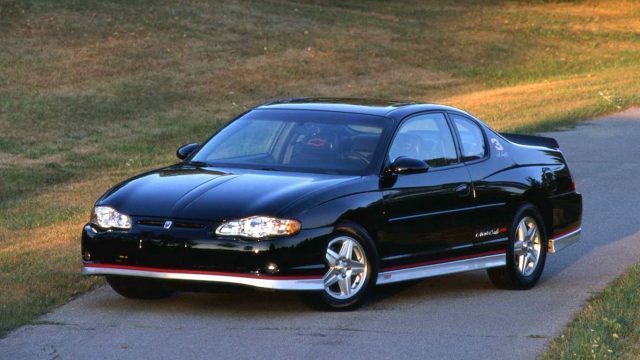 In his memory, 3,333 Monte Carlo SS models, featuring a colour scheme based on his iconic NASCAR racer, were built. Today they prove to be desirable collectors’ items for stock car fans. Ayrton Senna is revered as being one of the most talented drivers to grace the F1 stage. His tragic death in 1994 created a shockwave through the sport and beyond. Senna had signed off on a special edition Ducati 916 shortly before his untimely death, with production completed in his honour. 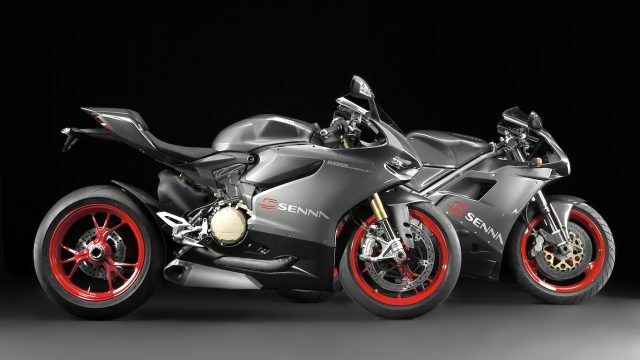 Twenty years later, Ducati recreated a Senna version of the 1199 superbike, with proceeds from the sale of the 161 examples being donated to the Senna Foundation. Jaguar Land Rover (JLR) has announced it has ended negotiations to buy the Silverstone circuit from the British Racing Driver’s Club (BRDC). The two organisations have been in discussions since spring 2016 about a deal that would see JLR either buy or lease the racetrack, which is home to the British Grand Prix. But they have now ended, reports Reuters, quoting a spokesperson from Jaguar Land Rover. JLR was said to have been planning to develop a heritage centre at Silverstone, to house some of its extensive classic car collection. Dynamic driving events would also have been an option, similar to those run by Porsche at its own Silverstone experience centre. Insiders previously suggested it was this Porsche facility that was one of the sticking points in agreeing any deal. The German sports car maker’s contract apparently states no other manufacturer could use the circuit for more than 45 days a year. The collapse in the JLR deal will be a blow for the BRDC. Silverstone is in need of further investment and the track’s losses are believed to be mounting. BMW has announced it is returning to the FIA World Sportscar Championship in 2018 with a new GTE racer to take on Ferrari, Ford, Aston Martin and Porsche. The news means BMW will return to the Le Mans 24 Hours race for the first time in several years and is something the firm is “particularly looking forward to”. BMW will be hoping to repeat its success in 1999, its first and only win as a constructor – despite entering the race regularly since the 1930s. Its legendary M1 racers from the early 1980s were particular highlights, while the 1970s 3.0 CSL and 3.5 CSL are cult racing cars today. The 2018 car won’t be a full-on LMP1 racer to take on the title-winning Porsche 919 Hybrid and previous all-conquering Audi R18 e-trons, though: instead, it will compete in the booming GTE class which this year has welcomed the attention-grabbing (and Le Mans 24 Hours-winning) Ford GT racer. Racing experts are already speculating a racing version of the next-generation BMW M5 or M6 is the likely new car that will mark BMW’s return to FIA WEC GT racing; the firm currently races the BMW M6 GT2 in the United States. “The way the WEC has developed so well makes us confident that the re is a big future for GT racing,” said BMW motorsport director Jens Marquardt. The Formula E announcement is particularly significant – BMW is to team up with Michel Andretti’s Formula E team, “in order to familiarise itself with processes in this innovative series, and to check the possibility of a works involvement in the future”. 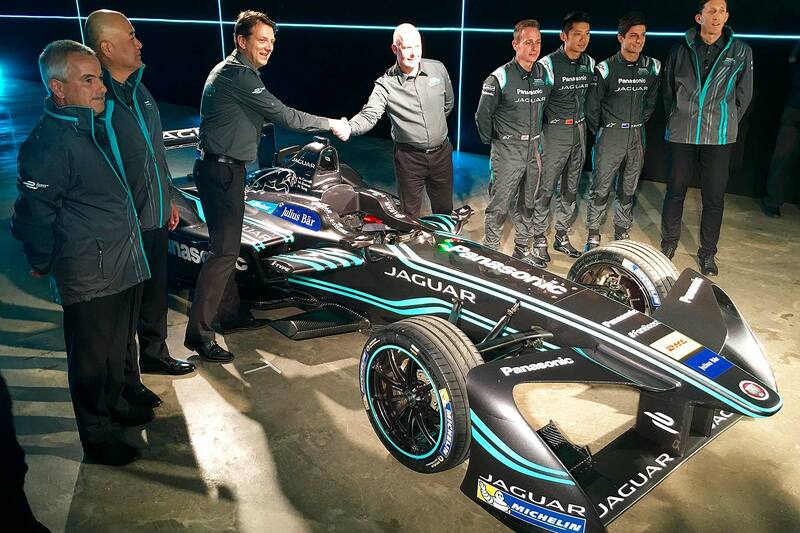 This adds further kudos to the fledgling all-electric single-seater racing series, which has recently been buoyed by the official launch of Jaguar’s new official works Formula E racer. There is, however, no news of any involvement in Formula 1. 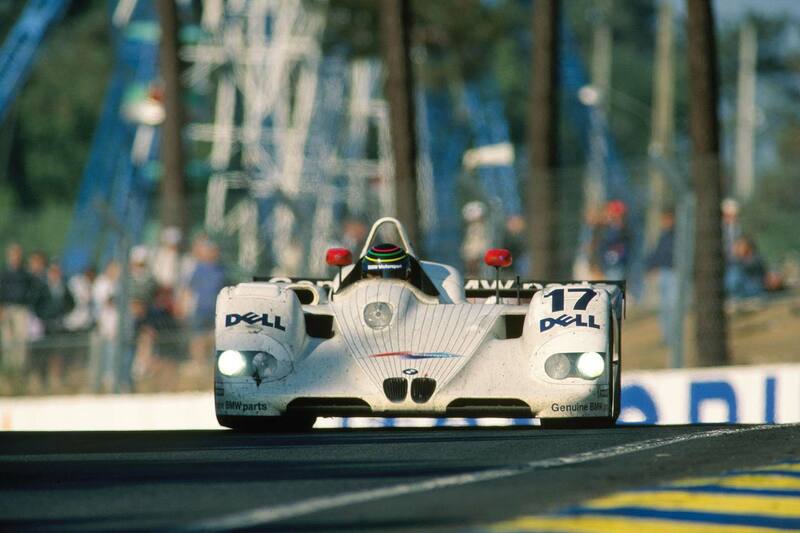 BMW withdrew from F1 seven years ago and shows little desire to go back there. 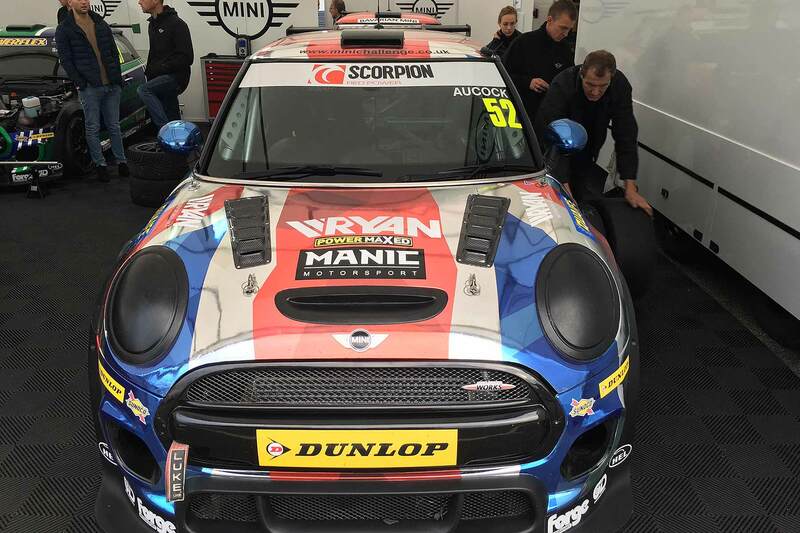 Instead, it is focusing on a broad, diversified motorsport strategy that includes BMW M, BMW and MINI, all branded under a new BMW Group Motorsport division. 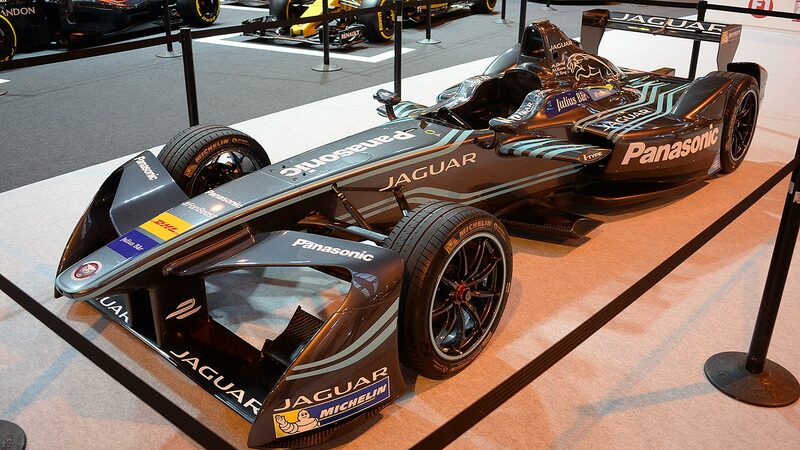 Jaguar has revealed its first-ever Formula E single-seater racing car – and it’s calling it the I-Type. The new EV racer was launched next to the huge Jaguar Land Rover R&D centre at Gaydon, whose 9,000 engineers Jaguar promises are going to be heavily involved in the development and tech transfer of the new Formula E racing car. Jaguar hopes to fast-track breakthroughs for future electric road cars by pushing the tech to its limits on the racetrack first – just like the firm’s founder Sir William Lyons used to do. Japanese tech giant Panasonic is to be involved here too, announced Jaguar Racing: indeed, as title partner for the race team, it means the official title for Jaguar’s racing return operation is Panasonic Jaguar Racing. The two already have branding for their racing development programme: Race To Innovate, which will “use the championship as a platform to develop the next generation of electric powered racing cars”. The firm has watched the first two seasons of Formula E with interest, he added, and now “wants to build on Panasonic’s legacy in motorsport”. The company was previously the title sponsor of the now-defunct Toyota Formula 1 team and is also closely involved in NASCAR racing. 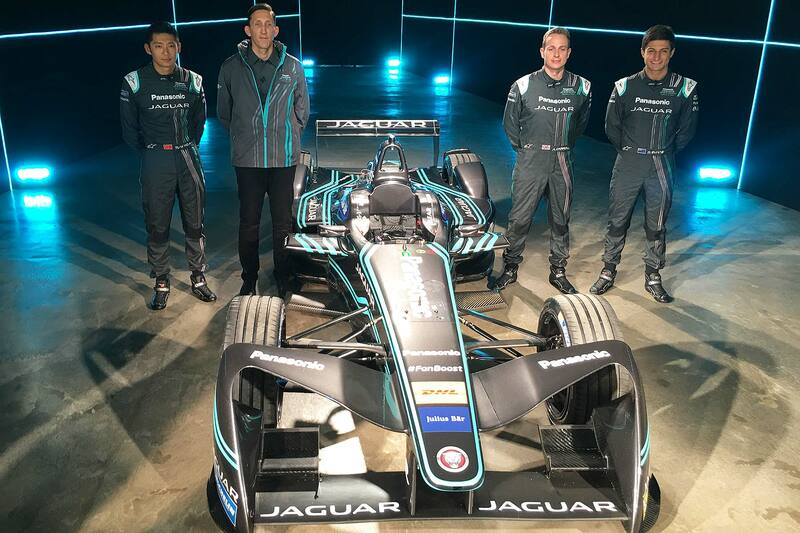 But first, there’s the small matter of a racing series debut to make – and Jaguar doesn’t have long: the 2016/17 Formula E season starts early next month in Hong Kong! Hence the big launch and reveal of the car’s name today; Jaguar’s also been testing the I-Type 1 at Donington in preparation for the first race on 9 October. The driver line-up is Northern Irishman Adam Carroll and New Zealander Mitch Evans, with China’s Ho-Pin Tung as reserve driver. How long before Jaguar wins again in a global FIA motorsport series, then? 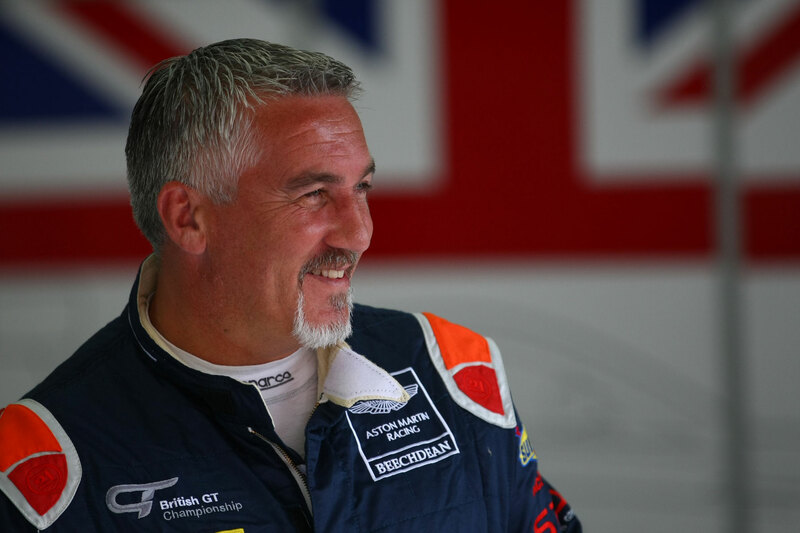 Celebrity baker Paul Hollywood is taking time out from Great British Bake Off this weekend – as he’ll be taking to Donington Park in his Aston Martin GT4 in the British GT Championship season finale. 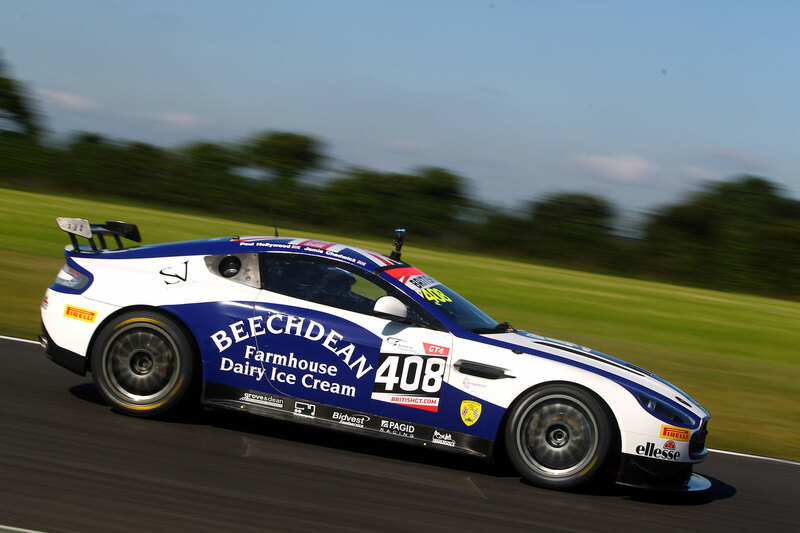 Hollywood races for the Beechdean Motorsport team alongside Jamie Chadwick, and made his championship debut at Spa Francorchamps in Belgium in July. 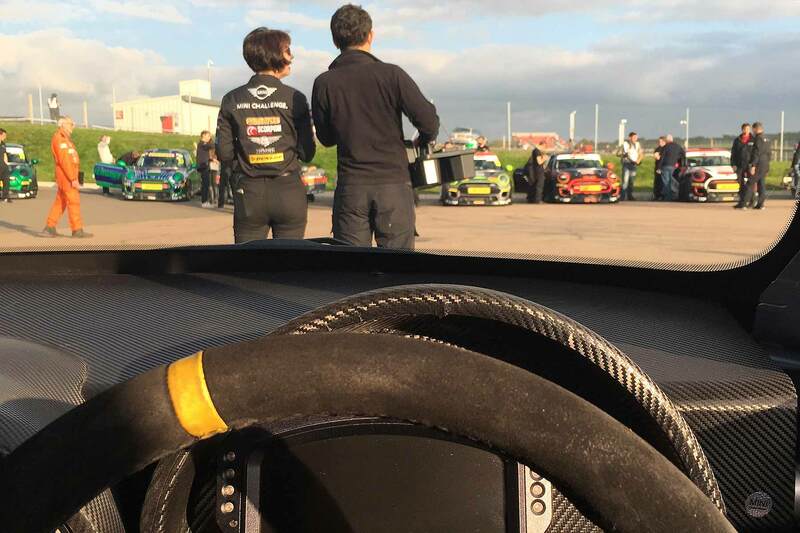 “I have thoroughly enjoyed my racing so far in the British GT Championship,” he said. “It’s very tough and it’s been a steep learning curve. “Has it been more challenging than I expected? Yes, and then some! There’s things that people don’t think about, like when you get in the car you don’t realise just how claustrophobic they are. The Bake Off star has never raced at the Leicestershire race track before – but he does have a special memory of the European Grand Prix held there in 1993. The race this weekend is a two hour contest, and Hollywood says he’d be happy just to make it to the end. 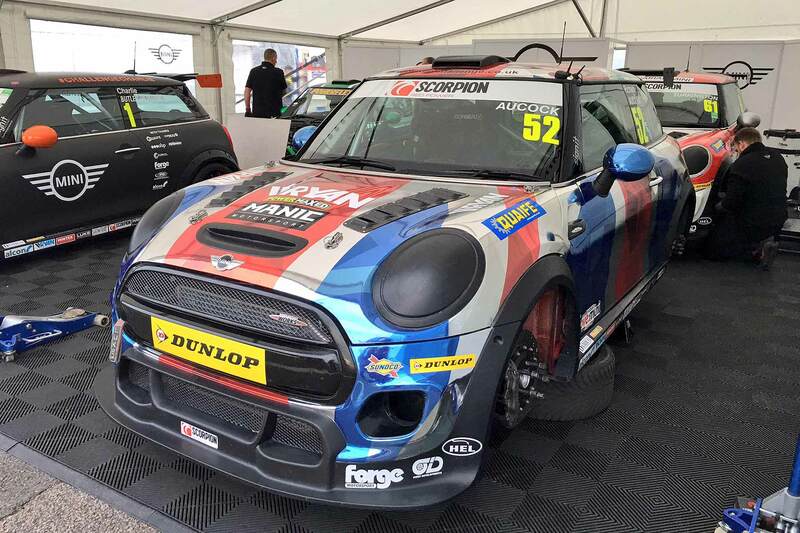 Fans will be able to get up close and personal with drivers at Donington Park, which features an open paddock. Off track family fun includes trampolines and a giant Scalextric set.